Valuable Addition--> A friend who was an executive at GE Healthcare made this comment to me by email: "The medical profession [plays] a role in adoption of disruptive technologies (not just the GE's and Philip's). Radiologists have been especially successful at introducing "quality criteria" and credentialing requirements to block other specialities from being reimbursed for imaging. And, physicians are still in a 'pay me to use it' mindset when it comes to technology - reimbursement is a prerequisite for technology adoption." 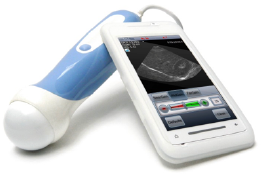 In fact, the two best-known examples of handheld ultrasound in the world were created in India. 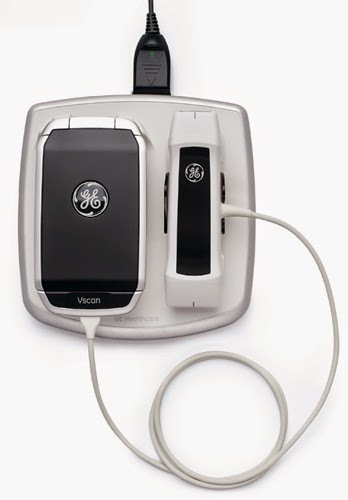 A sometime employee of GE that worked on the Vscan Access device let me know that the Vscan was technically created within the Vingmed GE ultrasound group in Norway: http://www.heart-sfi.no/index.php?page=ge-vingmed-ultrasound-gevu . However, the media surrounding the product release still suggest that the inspiration was India. Compared with many other diagnostic devices, ultrasound seems to be safe with no side effects. It doesn’t expose patients to harmful radiation like CT scans and X-rays does. Furthermore, it is comparatively inexpensive than other diagnostics and easily available in every healthcare facilities, thus it has become crucial in medicine. 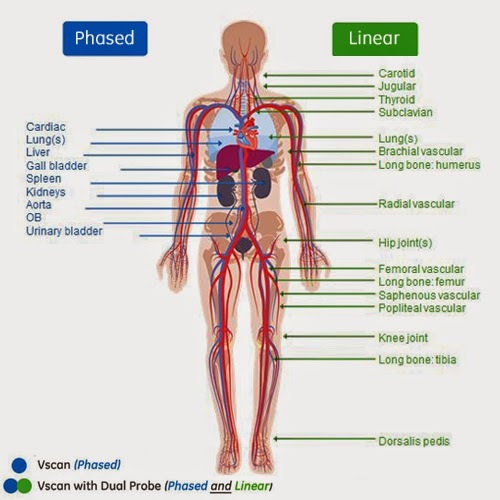 It is helpful in viewing the heart, kidneys, liver, blood vessels, and other organs of body. Radiologists have been particularly fruitful at presenting It is useful in survey the heart, kidneys, liver, veins, and different organs of body .the media encompassing the item discharge still propose that the motivation was India. Modular systems: Ultrasound in an app? Worldwide ultrasound device market will surpass US$ 10 Billion landmark by 2021. United States is the leading country in the worldwide ultrasound device market. But in terms of numbers of Ultrasound; China has the highest market share. No doubt that, its an amazing article. Very helpful for Doctors, Medical students for their better knowledge. Complaint Subject: Ultrasonic VScan healthcare devices/ Their employee using this devices at home to make revenge to their neighbour. He has been using these devices at home, and applying to my kid and family from since last two years. The hot ultrasonic wave inject our body and make us sick and weak. We have been already medicalised twice at Manipal and continuing medicine till now. As title says Ultrasound is future of imaging industry and revolutionized it. It makes scanning more useful. Also, we have portable ultrasound machines as well which makes the job done very easily unlike the older bulky machines.